Location: This region includes southeastern California, southwestern Arizona, northeastern Baja California, northwestern Sonora, and the northern tip of Sinaloa. Climate: The ecoregion has a dry subtropical desert climate, marked by very hot summers and mild winters. Evaporation rates are quite high in the entire ecozone. Vegetation: This vegetation is composed of desert types such as microphyllous scrubland, cactus, as well as areas without any visible vegetation. Representative vegetation includes large areas of palo verde- cactus shrub, giant saguaro cactus, creosotebush, white bursage, ocotillo, brittlebrush, catclaw acacia, cholla, desert saltbush, pricklypear, ironwood, and mesquite. Hydrology: Streams are mostly ephemeral and intermittent. Few surface water resources occur in the region. The largest is the Colorado River, which has a mountainous, distant source. Some springs and a few reservoirs are also present. Historically, many agricultural areas have been abandoned, either due to soil salinity problems, marine water intrusion, or to ground water depletion. Water resource use in the region is intense, both from rivers and ground water. Terrain: Similar to the Mojave Basin and Range (10.2.1) to the north, this ecoregion contains fault-block mountain ranges, scattered low mountains, alluvial fans, and alluvial valleys. Elevations range from sea level to over 1,400 masl. Quaternary alluvium, boulder deposits, playa and eolian deposits are common. Rocks are Precambrian to Mesozoic igneous and metamorphic, with Tertiary volcanics and sedimentary layers in other areas. Aridisols and Entisols soils are dominant. Wildlife: Characteristic fauna of the region includes desert bighorn sheep, southern mule deer, coyote, bobcat, kit fox, gray fox, ringtail cat, javelina, black-tailed jackrabbit, kangaroo rat, desert pocket mouse, desert tortoise, kingsnake, western diamondback rattlesnake, red-spotted toad, desert horned lizard, elf owl, Gila woodpecker, red-tail hawk, Gambel’s quail. Land Use/Human Activities: There are multiple areas of intensive, irrigated cropland, with cotton, alfalfa, hay, lettuce, melons, onions, sweet corn, grain sorghum, citrus fruits, and winter vegetables. There is some limited livestock grazing in wetter periods and a few cattle feedlots are present. The ecoregion is highly susceptible to droughts, which have seriously affected the region’s economy in repeated occasions. Publicly owned land includes military training land, national monuments, national parks, national wildlife refuges. Some tribal lands are also present. 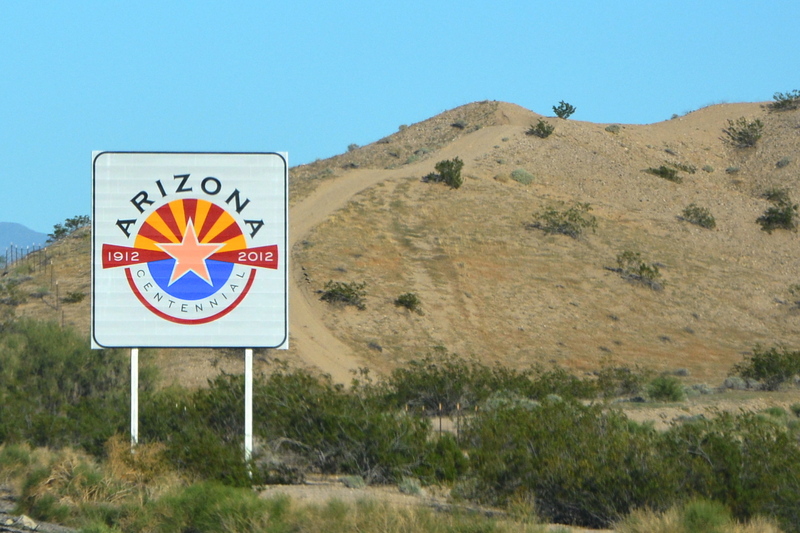 Some of the largest cities include Yuma, Gila Bend, Casa Grande, Phoenix, Tempe.